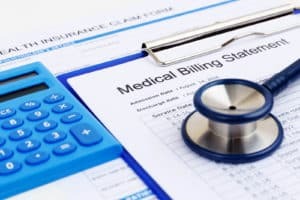 An article on the HealthExec website describes a Health Care Payment Learning and Action Network (LAN) report recently released, showing that 43 percent of payments to health systems came from traditional fee-for-service (FFS) payment models in 2016. That’s down from 62 percent the year before. Meanwhile, alternative payment models’ (APMs) share increased from 23 percent to 29 percent. While falling short of LAN’s goal to have models like shared savings and bundled payments make up 30 percent of healthcare payments by 2016, the group said it “represents a significant advancement” in the transition to value-based care, as total APM spending rose to $354.5 billion in 2016. The driver in moving away from FFS payments, the article goes on to say, was Medicare. If FFS Medicare data is excluded, FFS payments would only fall to 58 percent. Accelerated growth would be needed to reach LAN’s goal — 50 percent of payments going through APMs by 2018 — but its partners in the insurance industry said they were “encouraged” by the progress shown in the report. From a payment automation perspective, adoption of APMs has varying levels of impact on private payer processes. Because APM adoption varies between states and payer types, there are certainly benefits to electronic payments and remittances. OrboAccess, OrboGraph’s solution which drives value to the revenue cycle by completing the electronification of payments from health insurance companies, has yet to see major changes to paper-originated remittances (EOB/EOP). We will be investigating this topic more at the upcoming WEDI-Con 2017 conference.